There are more medical billing and practice management software tools coming out of healthcare startups than you can swing an accountant at. Each claims to be more transparent and intuitive than the next. The number of entrepreneurs who think their company can change the medical billing status quo for the better says a lot about the current inefficiencies in this system. Chicago-based HealthiPASS developed a way for patients to “check in” to a doctor’s appointment like they would if they were catching a flight from O’Hare International. When patients arrive at the office they can swipe their credit or debit card, or they can scan a QR code or PASS. The product processes the patient’s payment information, estimates the cost of the visit, and includes relevant insurance benefit plan details. It is part of a broader practice management product geared for outpatient care. The company closed a $7.2 million Series A round, led by FCA Venture Partners. OCA Ventures, Healthy Ventures, HealthX Ventures, Waterline Ventures and a small group of strategic investors also took part in the funding round. In a phone interview with CEO Rajesh Voddiraju, he said the funds will be used to further innovate and expand the patient payments platform and sell into ambulatory healthcare settings across the country. Voddiraju claimed the company’s clients had a 30 percent increase year over year for collections from using its product. He added that its usability improved their patient satisfaction scores. Looking ahead on the subject of investment priorities for the funding, Voddiraju said HealthiPASS planned to expand its sales and marketing team to expand its customer base across the country. It would also double down on product investments. Cedar launched its billing solution with a $13 million Series A funding round from investors including Founders Fund, Thrive Capital, Martin Ventures and SV Angel, according to a company news release. 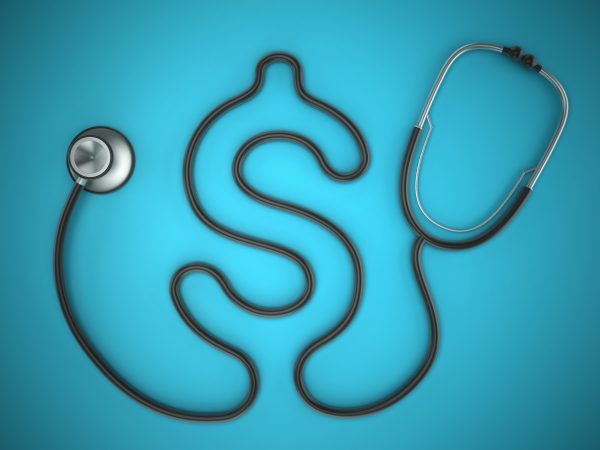 Led by CEO and Cofounder Dr. Florian Otto, the former vice president of sales at Zocdoc, it is betting that it can use information such as the patient’s payment history, age, zip code, and insurance plan, to guesstimate a patient’s ability and willingness to pay. This prediction informs the interactions with patients, according to a blog entry on the company’s website. Its service is aimed at helping multi-specialty medical groups, community hospitals, and academic medical centers to improve the patient billing experience. Otto said the company would use the funding to recruit for engineering, business development, and client success teams. “Given that patient obligations have risen from under 5 percent of hospital revenues to closer to 20 percent of hospital revenues, re-examining the patient billing process is key, but the focus needs to be on improving the experience in order to ensure a positive response,” Otto said. PatientPay in Raleigh-Durham refers to itself as a “payments partner” but its focus is specialty care. It raised $6 million in growth capital from Teaghlach Family Office, which led the funding round, with participation from Esping Family Office and existing investors, including Mosaik Partners. Among the areas of interest for the business are anesthesiology, radiology, labs and other specialty medical groups. The company has raised $18 million to date. Next year, it plans to use the funding to add new staff across software development, sales and operations for its home office. Additionally, the company plans to expand its headquarters by year-end, 2018. Last month VisitPay raised a $15 million Series A round. The business targets integrated health systems but with plans to add smaller players in the longer term. Norwest Venture Partners led the round with participation from Ascension Ventures.